I'm back, but this time to share my adventures in the land of Tut! In 2016, I attended the Nile Seed Forum in Aswan, Egypt that was constituted to discuss the potential collaboration among civil society organisations in the Nile Basin countries. Egypt was always on my bucket list and I was super excited to be going, especially since my friend Mohamed was also attending the Forum. Aswan is in the south of Egypt, and about 850 km from Cairo. I flew directly into Aswan and had to take a boat across the Nile to get to the Island where the Forum was taking place. I wasn't ready for the level of dopeness of the modern hutlike structures carved out of the rocks, that ended up being our home for the four days we were there! The boats that carried us from island to island. Those colourful hut looking thingis were the rooms. This was the room situation where we had all our meetings and meals. Our tour guide on the island. 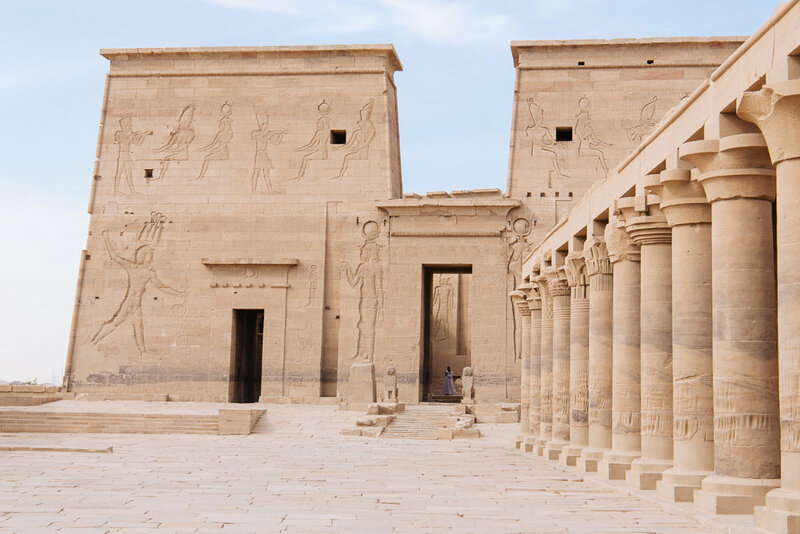 One of the highlights of being in Aswan was getting to visit the Temple of Isis in Philae. The temple was primarily dedicated to Isis the goddess of fertility, but the mens in her life Osiris and her son Horus were also worshipped there. Another highlight of being Aswan was taking a walk in the market and visiting the Nubian quarters there. There was so much colour everywhere and the people were so welcoming and hospitable. 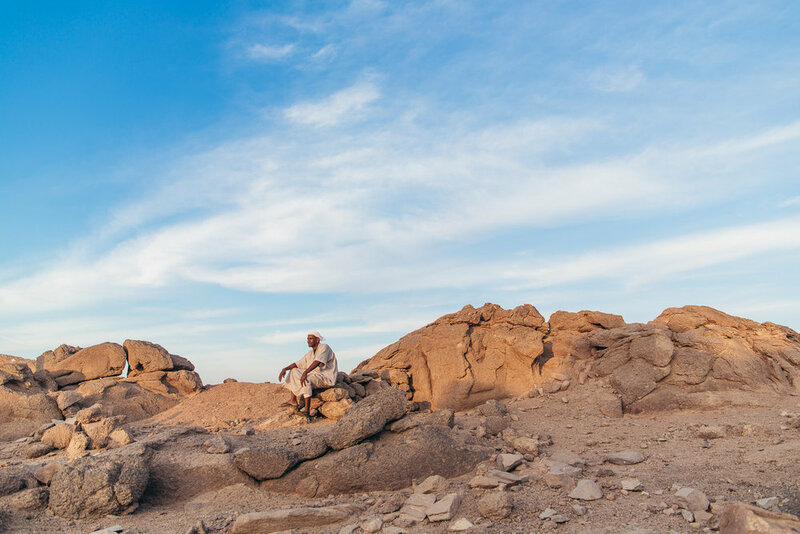 The Nubians have been resettled in large numbers away from southern Egypt and Aswan since the 60s, when the Aswan Dam was built on the Nile, causing the flooding of their ancestral lands. This is a big part of the controversy that surrounds the dam. No there is no image of me holding the baby croc, however I present you with a picture of Mohamed holding one. This guy was the definition of cool! 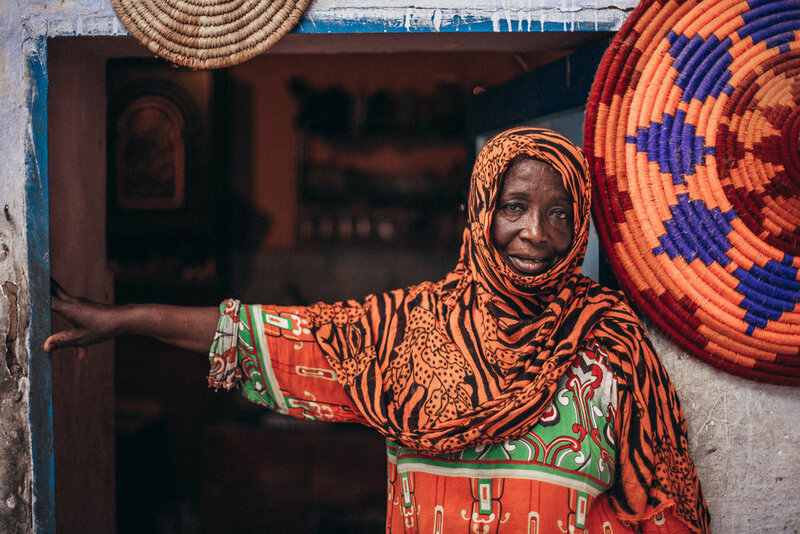 Nubian woman outside her home. Mohammed poses outside one of the Nubian houses. The wall art was so fresh and colourful. Aswan was amazingly beautiful, so full of history and culture! In part two of this blog post, I will share the Cairo experience with you! Until then, wander as often as you can. Your spirit will thank you!